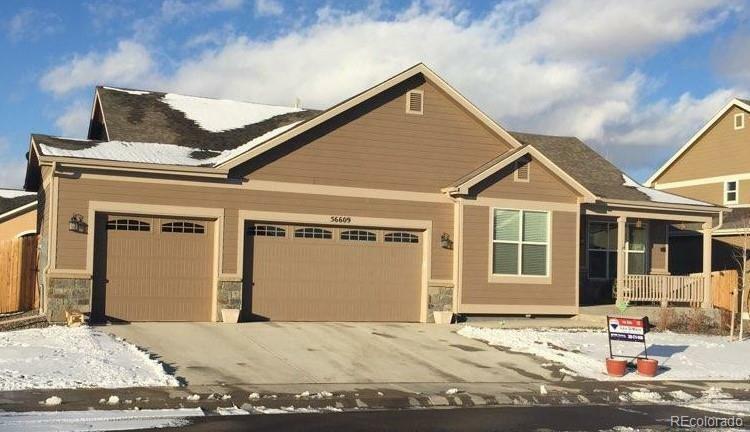 This beautiful ranch home was just built in 2017. Sellers have done many upgrades, including finishing out basement adding an additional 1,560 sq ft of living space! Open floor plan with 3 bedrooms on main floor, 1 of which can be used as a study. Great Room has vaulted ceilings & opens to dining/kitchen area. Large master bedroom also has vaulted ceilings. Basement offers many options & includes a 3/4 bath, storage & plenty of open space to create an additional bedroom, fitness room, etc. Granite counters, 5-piece master bath, walk-in closets. Patio off the kitchen with large fenced-in backyard & beautiful landscaping, including artificial grass for low maintenance & water savings. Plenty of storage throughout, including storage in garage. Extensive security system. SMOKE-FREE HOME! This south-facing home has an abundance of natural light. Immaculately maintained & move-in ready. Close to schools, parks, playground. Quick access to I-70. A must-see home!